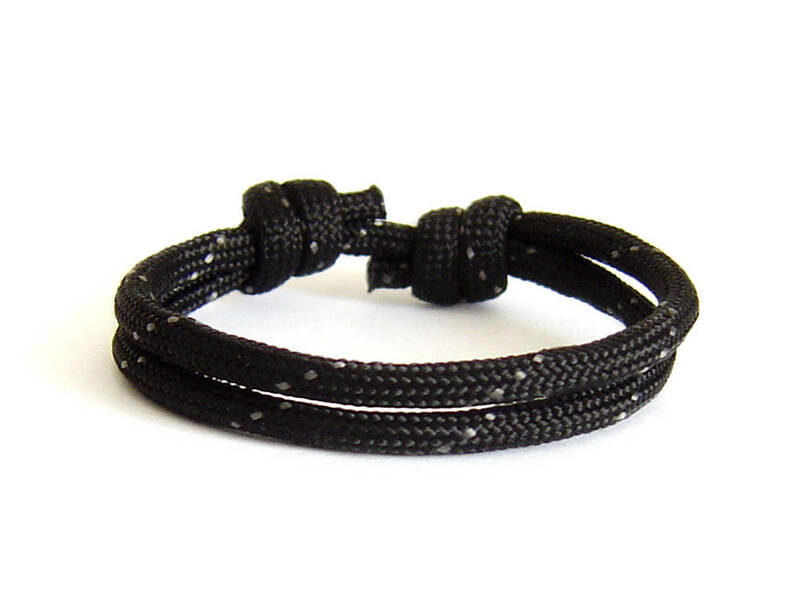 Top fashion jewelry for men paracord bracelet, created as braided bracelet of paracord rope. 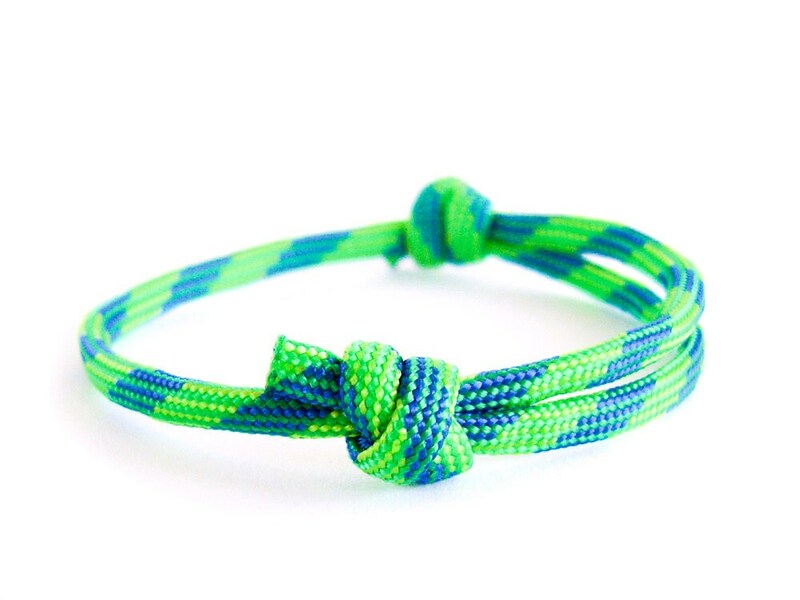 Unique in urban jewelry, this mens rope bracelet is knotted by us of rope (4 mm in diameter (3/16")) . 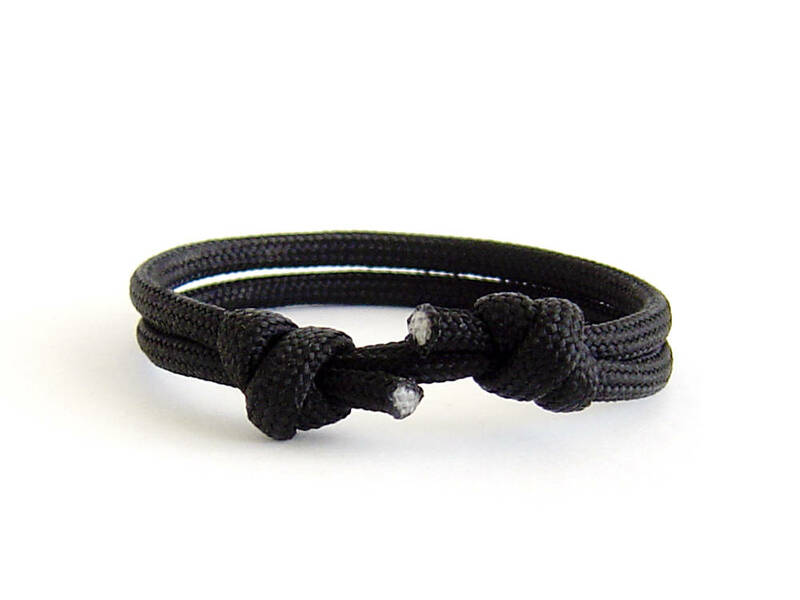 * The rope is 4 mm (3/16") in diameter. 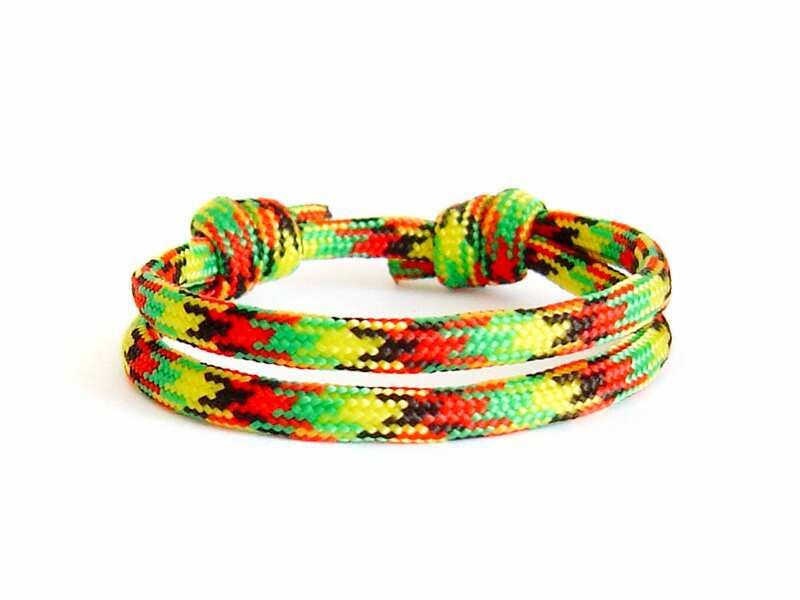 * The length of the bracelet can be adjusted from 13 cm (5 1/8"), to 25 cm (9 13/16"). 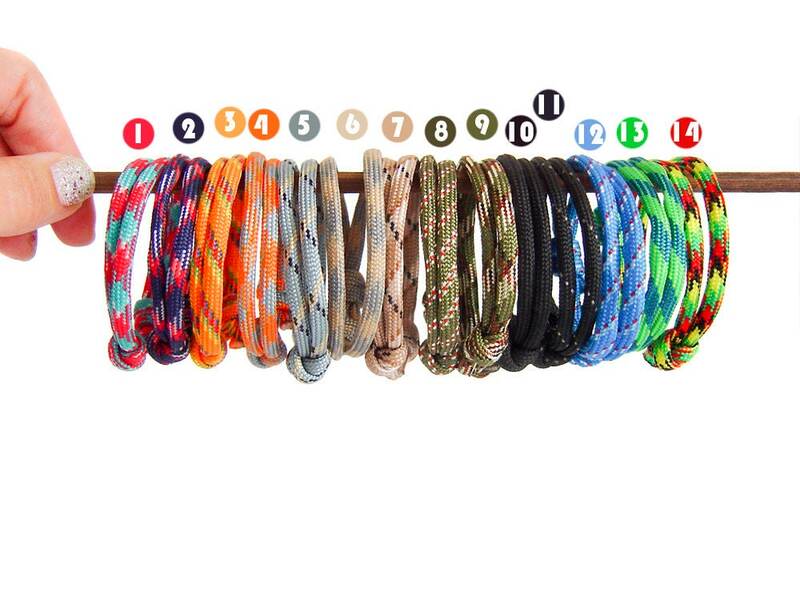 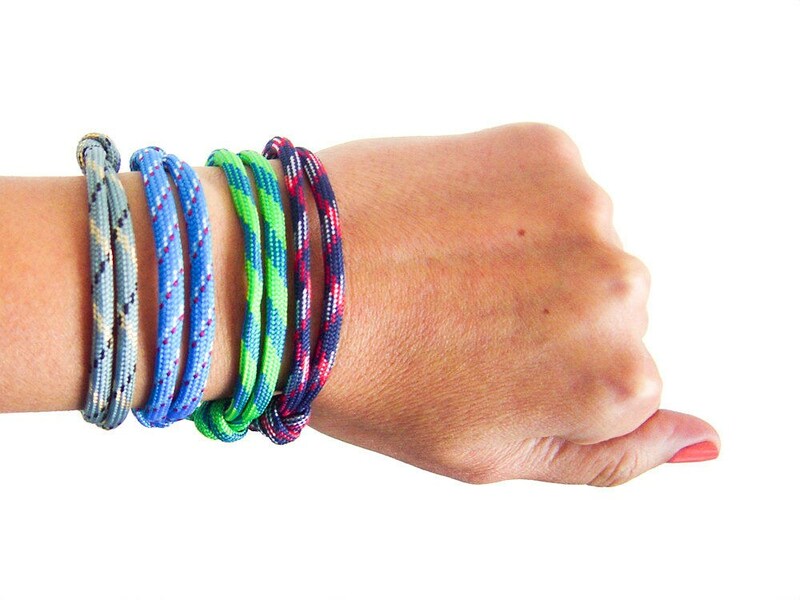 Slide the knots for getting the best size for your wrist. 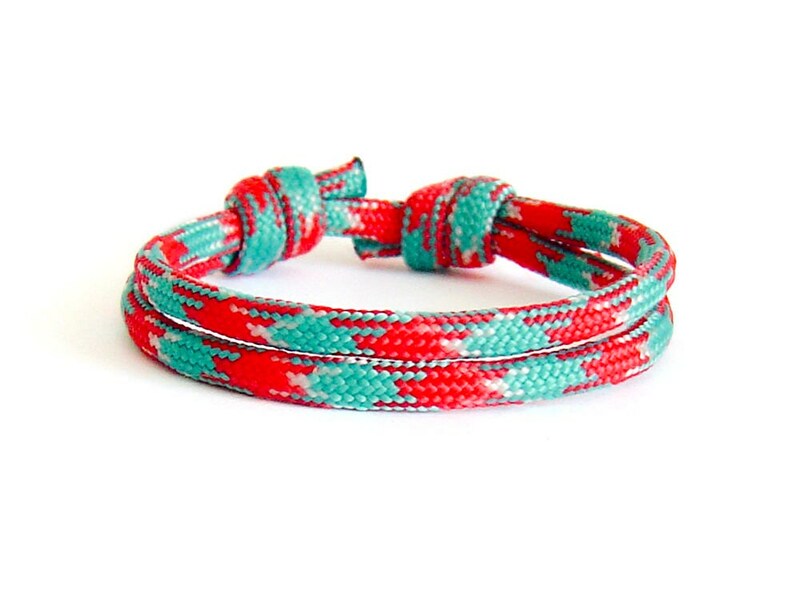 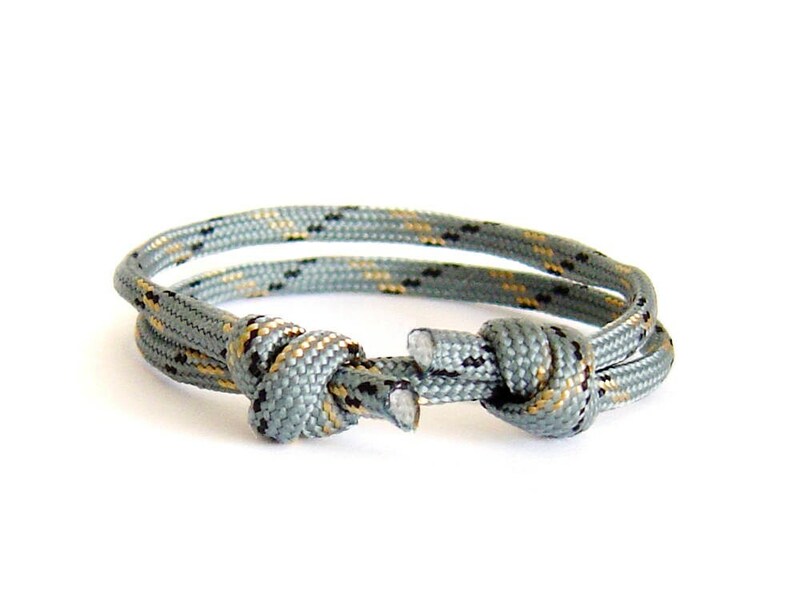 You can adjust the length of this braided bracelet then you slide the knots on the paracord. 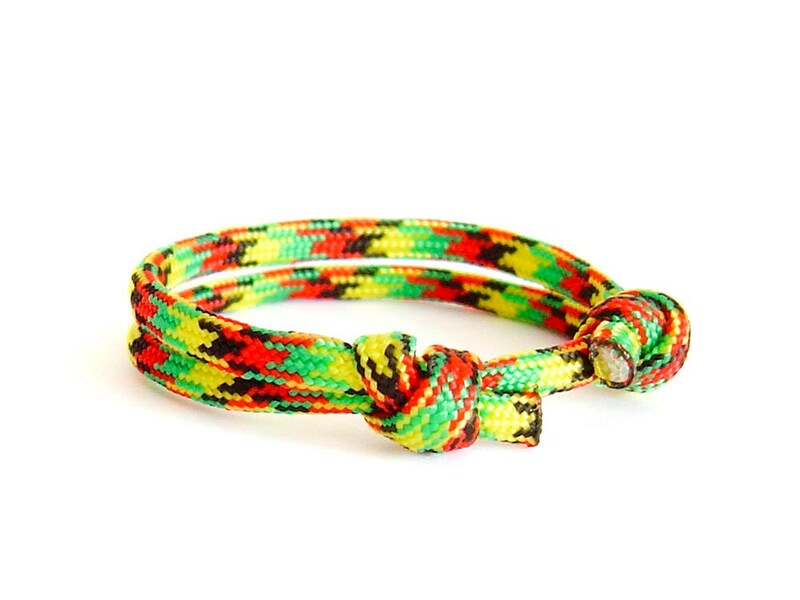 It fits well to men, women, and kids also. 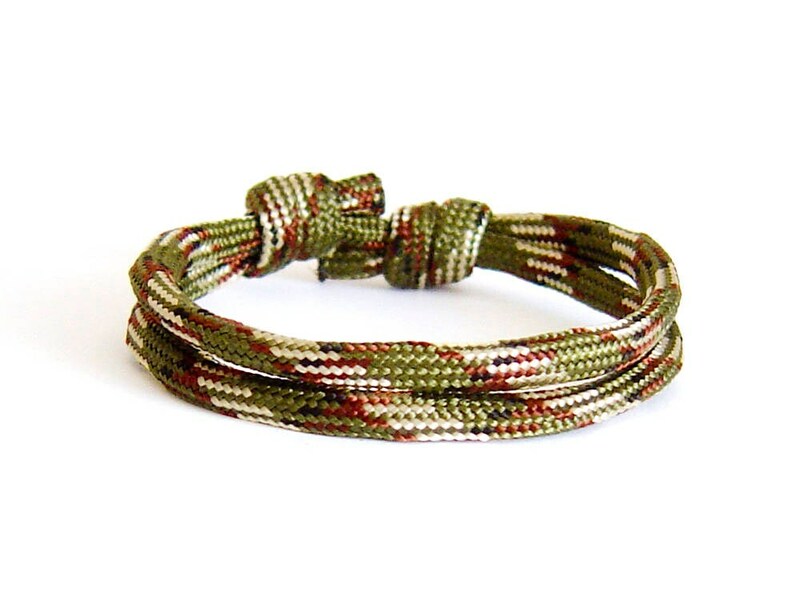 Wearing this urban jewelry paracord bracelet you will always have your reserve rope with you.